Sometimes something comes along that is so BASIC that I find it hard to figure out why it isn’t more of A Thing, y’know? Picture the scene. unny, a bit windy, a bit chilly, not swimming weather but definitely outside weather. A make-do picnic. A whole RABBLE of kids. A steep hill. One cardboard box. How much time do you think could be spent, in these circumstances? Try FOUR HOURS. Yes, folks, FOUR HOURS of WHOOPVILLES. Take a firm box. A small, steep hill. Ideally the grass will be sort of long- this adds a buoyancy and stems the carnage. 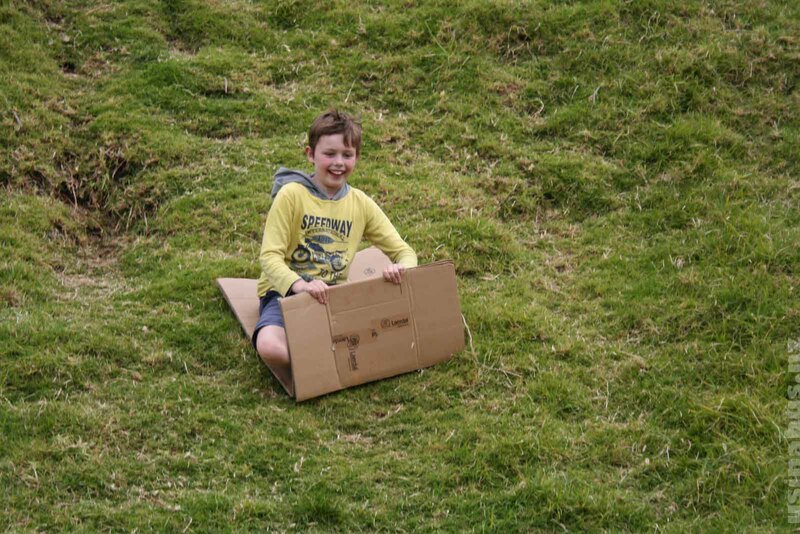 Set the box on the hill and sit in it cross leggedly, bending the bottom of the box over your legs. Lean right back (this stops you going head over feet – eh, Juno? Yeah, the youngest bailed.) and get someone to give you a shove. 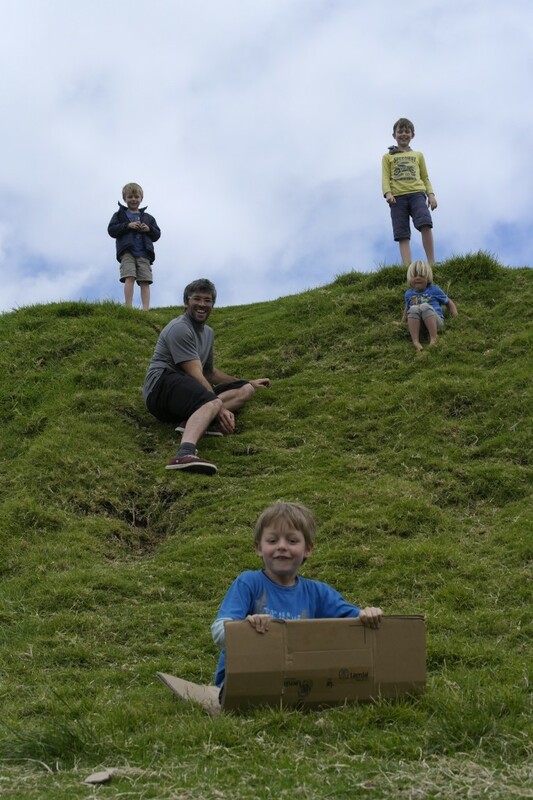 As we packed up our picnic, pretty exhausted, I looked around the hill and saw people of every age with their own box, sliding down this beautiful Devonport hill. Turns out it IS a thing, here in this spot. Good one, you thrifty families! 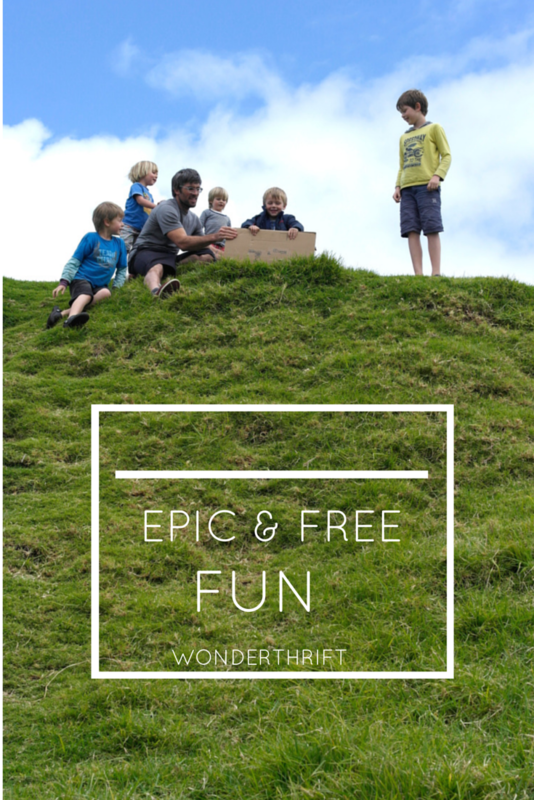 PS- Check out these five awesome cardboard box activities that the excellent Maggy of Red Ted Art wrote on my other blog.